Protect your valuable data such as family photos, documents, music or any kind of files with a good backup. Backup should be put on the first place. Imagine one day you lost everything due to viruses or disk failure. 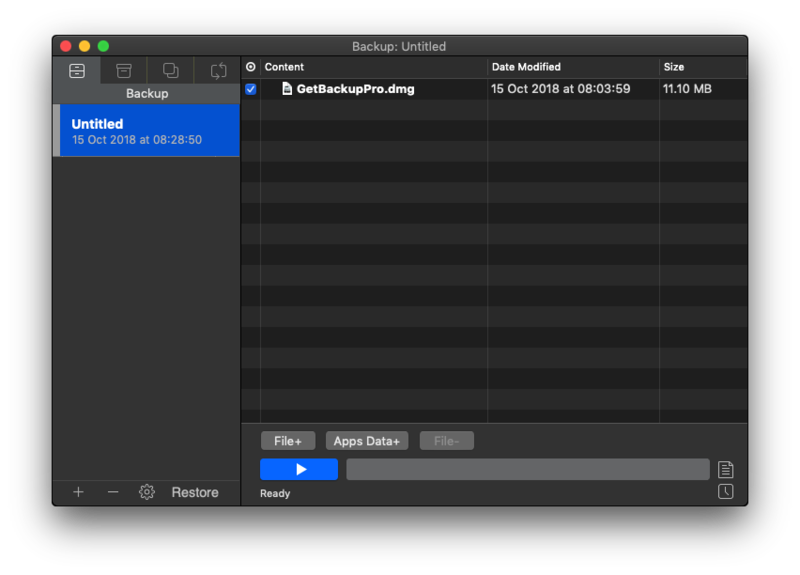 On this article, I am going to show you how Get Backup Pro can protect your valuable files in easy way. If you are running Mac, there are plenty of backup software available out there. Get Backup Pro is one of them that could fit your needs. To start backing up a folder, simply click + button from the Backup page. 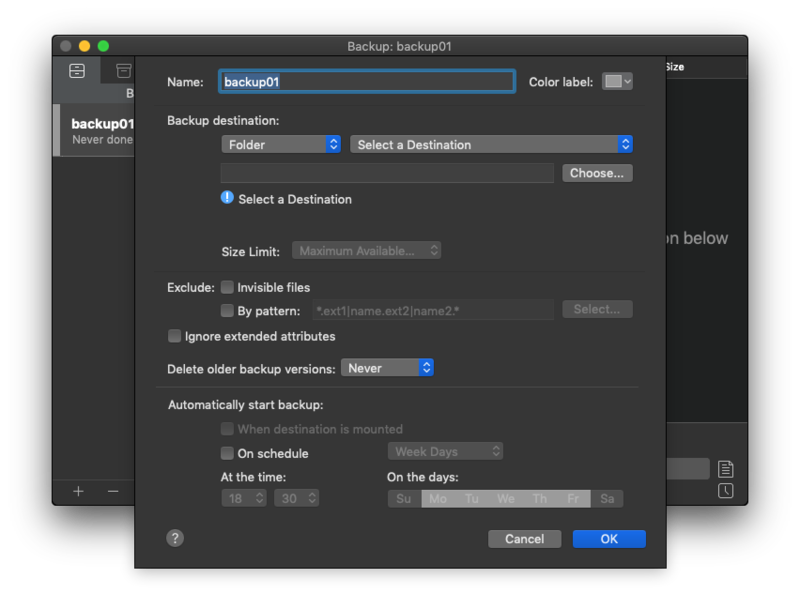 Give your new backup a name and then specify what to backup and also the backup destination. You can also set the backup schedule. Unfortunately, there is no way to store the backup in the cloud storage. But, you can tweak it a little bit. If you want to store your backup in the cloud, I would suggest you to install ExpanDrive or Mountain Duck. Mount your remote/cloud storage in Finder using those software. And then, the mounted cloud storage will be visible in the Get Backup Pro backup destination. This is unofficial way but it works for me. This feature will help you to backup the entire disk using clone mode. This requires another disk connected to your Mac. You will need Mac OS Extended or APFS required for source and destination. 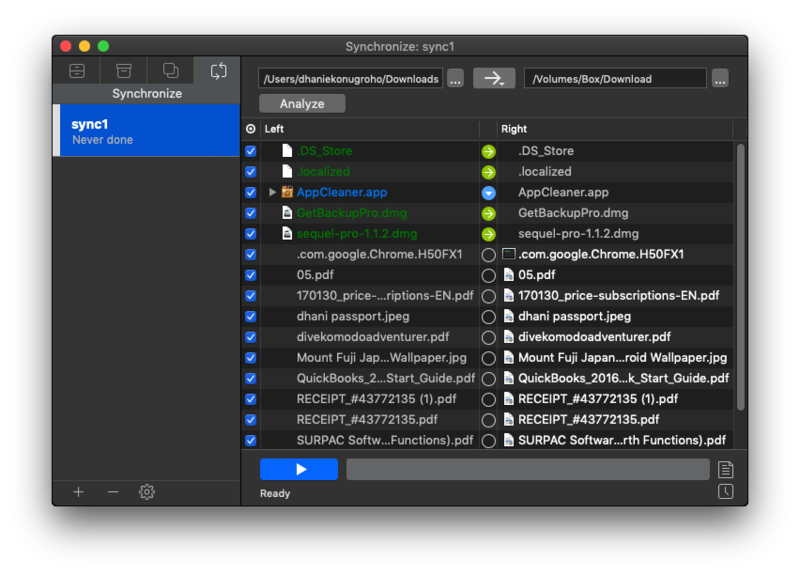 Get Backup Pro also can be used to sync two folders. Simply add the folders and then press Analize. It’s a handy tool to use. Get Backup Pro full version is a handy backup solution for Mac OS users. It supports the latest Mac OS X Mojave. It has a complete set of backup tool including files and folders backup, disk clone, file archive as well as sync features. The lack of cloud storage supports could be the only complain I have about this software. You can download the free trial version from this link. If you like, you can purchase Get Backup Pro full version for about $19.99. After purchase, you can activate it by entering the license or serial information. Simply as that.